The first installment of regularly posted links of interest that I stumble upon. I'll have a permanent link to show only these posts on the sidebar to the right. Enjoy! I need to try vinyl one of these days. Maybe this is a good starting point? "After consulting experts in the field and reading countless reviews, the entry level turntable to buy today is the Pro-ject Debut Carbon. It comes with the best combination of tonearm and cartridge of the entry level models out there, and is built well enough that you can upgrade the cartridge or other components down the road without needing to replace the table first." Does that new album sound better on CD, Vinyl or HDTracks? Find out here before you spend your hard earned money. A very good article on why you DONT want a high sampling rate. Open this in a tab and read it later if you don't have the time. Its worth it. I like articles that have solid science backing them up. This is one of them. I'll also link the video accompanying this article because it demonstrates how science backs up facts and dispels myths about DA/AD conversions. I hope Monty makes more videos like this. The next thing I want to announce is I am going to start making posts about electronics and technology projects in general, in addition to the audio/video. A lot of folks into audio and home theater tend to have interests in line with other things I'm doing and would love to write about, so why not broaden the bandwidth a hair and open it up to more visitors? Also if you feel so inclined to donate to my blog or future endeavors with the audio system, please click the logo below to make a Paypal donation and you will receive my highest accolades! A humorous, yet serious rant about over priced audio cables. I didn't expect to laugh so hard. A worthy watch and a reminder of how gullible some people can be! I attended Mark "Basspig" Weiss's 2nd Annual B.A.S.S. meetup this year and had a great time, despite being a little under the weather with a headache and being late to arrive. He wrote a great summary of events so I won't type a redundant article, but I'll leave you with a reprint and some brief comments. I will add that there were also some interesting discussions on vinyl. Mark played back some digitally recorded demos of a how a laser turntable sounds vs. a standard electromechanical turntable. This later spurred some research on laser turntables and "high fidelity" records. Vinyl is a whole other world to learn about. While interesting, Its not something I'm going to get into. I do know one thing. I love the overhead Mark's system has and always enjoy hearing it. I have not heard any other system that has this powerful finesse. It reminds me of practitioners of Chen style Tai Chi who's art is calm and flowing but also deadly fast when needed. If there is one thing I'm reminded of that I need to do to my own system, it is to increase the displacement capability by several orders of magnitude. What a difference this makes, even at low volume levels. Stay tuned! Mark's summary is as follows..
As with last year, our B.A.S.S. Meet was a great success! Thank you to all who attended and brought so many great food items as well! The main audio/video demo featured my Blu-ray productions of the Bridgeport Symphony Orchestra with Alex Beyer, performing Rachmaninoff's Piano Concerto No 3 in D minor, then the GBS performing Rachmaninoff's Symphony No 2 in E minor, (selected movements), then Allison Eldredge with the Boston Classical Orchestra, performing Saint-saens Concerto for Violoncello in A minor, then the Zambelli Ultimate Fireworks Blu-ray that I had the pleasure to capture from the launch pad, then I played a track from a Japanese soundtrack "The Weathering Continent" as a 2-channel Sonic Holography demo. Next up was a demonstration of the dbx 500 Subharmonic Synthesizer. For this demo, I used appropriate material lacking in fundamental bass (Average White Band "Pick Up the Pieces") and then gave an example of the absurd Bass Pig effect when you use it with Reggae music that DOES have some bass. We took a break at the buffet and then returned to the Lab portion of the day where I demonstrated Bell Labs' new tri-tone test for Transient Intermodulation Distortion. We tested a Sansui AU-9500 against a Lepai 2020 amplifier. The results were colorful and interesting. The test setup consisted of three Tektronix SG5010 precision audio oscillators, outputting 10.05KHz, 9KHz and 20KHz, respectively, summed into a resistor network which fed each of the audio amps under test. I also performed traditional THD and SMPTE/DIN IMD testing. The Sansui easily tromped the Lepai on traditional tests, with ultra-low .028% THD, but the tables were turned when the tri-tone tests were performed, with the Lepai being an order of magnitude lower in TIM distortion than the Sansui. And finally, I fired up the HP 8568B spectrum analyzer, connected to an outdoor antenna, and displayed the spectral mask of several FM stations, some with and without IBOC (In Band On Channel) or HD Radio digital transmission, discussing the effects on DX listening with the presence of the wider digital sidebands. Our last guest showed a BD of Baraka on our big screen, which provided a colorful and sometimes disturbing look at life around the world, focused mainly around Asia.All in all, a positive experience, many questions and positive comments. My entertainment area occupies half the basement in my 1978 built home. The room is approx 12' wide by 45' deep with 7' ceilings. I wish it was wider and had more height, but its what I have to work with! I do plan on making changes to the walls and ceiling, so expect some updates. Front row seating is a 3-seat sofa with reclining ends. The front row is about 14' from the screen. Behind the sofa is a 6' wide DIY bar where there are 2 more seats. A DIY in-wall 19" equipment rack is to the left of the bar. Some DIY acoustic panels help with first reflection points. 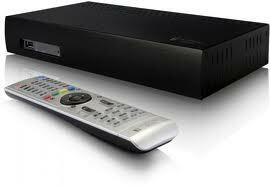 Most of my viewing is high definition Bluray concerts. I'm a music lover first and foremost. If I do watch a movie, it has to be a blockbuster. For this reason I hesitate to use the term "home theater". You'll notice that most of my upgrades from here on out will be geared as such. As you can see my decision to NOT go with a popular 2.35:1 Cinemascope screen, take my viewing habits into consideration. Onkyo PR-SC885 Preamp & Processor. Handles all inputs from various sources, processes the audio streams and applies equalization based on the Audyssey XT room correction algorithms & measurements. JVC RS40 Projector. 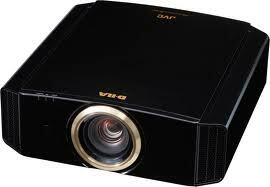 A reference class 1080p 3D projector using D-ILA, or JVC's version of LCoS technology to produce an image with a high contrast ratio. I'm using a Chief mount, which after my previous DIY mounts, I HIGHLY recommend spending a little extra for a nice mount such as this. 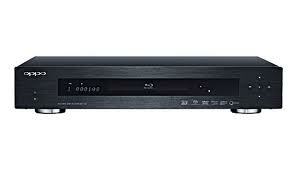 Oppo 93 Bluray/SACD/Network Streamer with v1219 firmware. This is primarily my Bluray disc player. 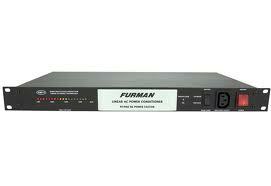 It is also an excellent network streamer for FLAC, MKVs, MP3s, ect. The firmware version I have installed still allowes playback of Bluray .ISO images, but only from a locally connected hard drive. Popcorn Hour A-300 A low powered network media jukebox (NMJ) with the capability to play many media types, including Bluray .ISO images over a network drive, with full HDMI outputs bitstreaming HD audio codecs. Seymor A/V Centerstage XD - Acoustically transparent screen material was used to construct a large screen of 10' wide by 5' tall. These screen dimensions give me the most bang for the buck on the 12'x7' wall. The ratio is considered a CIA, or constant image area screen and the ratio is 2.05:1. The concept was conveyed to me by Anthony Grimani of PMI Ltd. while he lectured the Home Theater Cruise in 2009. I get maximum height while watching 16:9 ratio concerts, and maximum width while watching 2.35:1 cinemascope movies and can accomodate any ratio in between. The downside is the need for masking every ratio, which in reality is minimized by using a high contrast ratio projector. Not convinced? Click HERE. I made the screen frame from poplar wood and it is borderless. It floats from the joists above in front of the speakers. The fabric was stapled and placed on a bias to minimize moire patterns. Marchand Bassis. A dual analog Linkwitz Transform circuit. Shapes the subwoofer output signal to counter the natural rolloff which occurs when using a non-ported (sealed) subwoofer design. 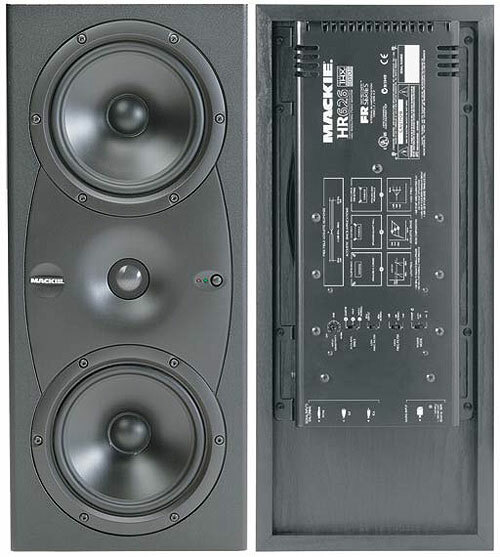 It can be tailored specifically to match any sealed subwoofer design parameters to a given room's gain structure. I bought this as a kit, assembled and tested myself. 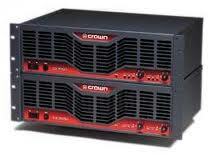 Crown CE4000 rack mounted amplifiers. Found at bargain prices on the used market, this model amp was the test bed for the future flagship I-Tech line of amps using an advanced derivative Class D architecture (which Crown calls Class I). Coupled with a power factor correcting switching power supply produces an extremely efficient amplifier. 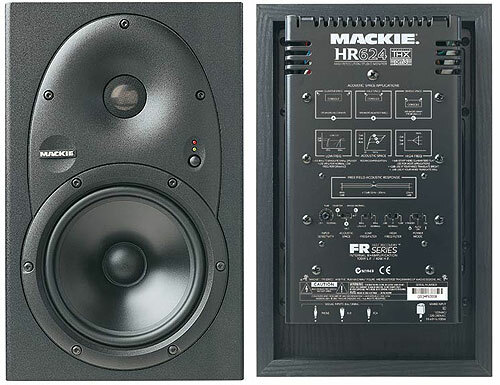 Powered with 240vac it draws very little current yet produces up to 3600 watts RMS bridged into a 4 ohm load. I use a pair of these on 240vac mains to drive a pair of sealed subwoofers. I also have replaced the internal cooling fans with Scythe S-Flex SFF-21D low noise fans for near non-existent noise levels. 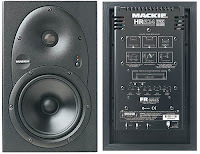 Mackie HR series studio monitors. 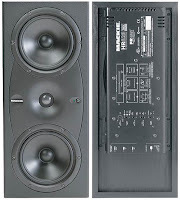 Models 824 (LEFT and RIGHT), 626 (CENTER) and 624 (SURROUNDS) Active studio monitors using a servo controlled midrange augmented by a passive radiator and a 1" dome tweeter on a mild waveguide. 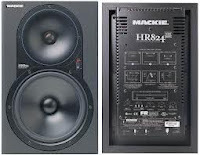 Acoupower Subwoofer System. A DIY subwoofer system I created using a pair of Acoupower 18" drivers in sealed, down firing plywood cylinders. More information soon. 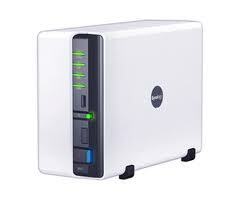 Synology DS211 NAS Raid file server 2x2TB soon to be upgraded with a larger Synology. I compiled some videos about the subwoofer drivers in my audio system. It is an introduction and comprehensive look at the metal and soft parts which make up an Acoupower driver. You may have seen the introduction posted here before, but this includes videos of the inside of the drivers. A full 20 minutes worth. I'll soon publish a post showing the buildup of my cabinets and other data. - 6" copper 2 layer voice coil in an underhung configuration. - 18mm of one way throw and still at 100% linearity on the BL curve.